Learn a very useful technique: painless and paperless paper piecing. 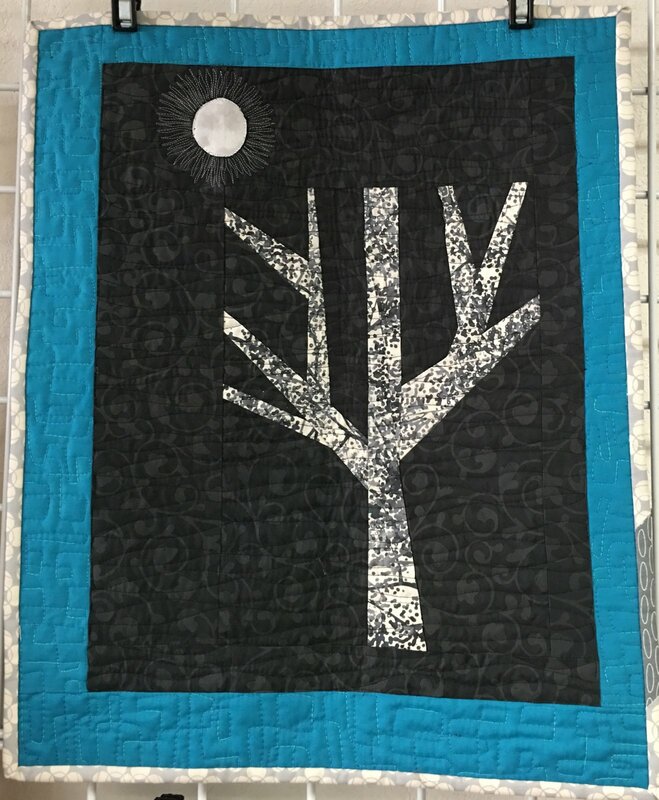 Come learn how to use one piece of freezer paper to make the four trees in the pattern. No tearing of paper and no cleaning up of millions of little paper pieces. This technique is very adaptable to most paper pieced patterns.